The most recent survey from the Public Policy Institute of California demonstrates just how different the Golden State is from the rest of the country on some of the most important issues that define who we are, from health care and climate change to immigration and income equality. The results underscore how marginalized the Republican Party has become and why Democrats have won every constitutional office in California, majorities in both houses of the Legislature and control of the Congressional delegation and both seats in the U.S. Senate. Gone are the days when a Republican – at least one who espouses GOP national and state party ideology – can capture the hearts, minds and support of California voters. This is why Republican voter registration has dropped to 28.1% compared to 43.3% for the Democrats and 23.3% Decline to State. But it’s worse for the GOP, according to the PPIC poll: Asked who they are closer to, 48% of Californians say the Democrats and just 26% say the Republicans. Health Care About half of Californians (52%) have a generally favorable opinion of the health reform law (42% generally unfavorable). 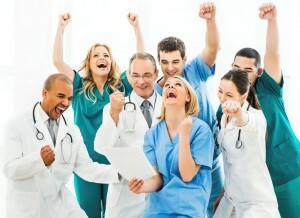 In a national Kaiser Family Foundation poll, 41% had a favorable view. The PPIC survey also asks Californians how concerned they are about being able to afford necessary health care when a family gets sick. A strong majority are at least somewhat concerned (51% very concerned, 23% somewhat). Climate Change Most Californians (60%) say global warming will be a very serious problem for the U.S. if nothing is done to reduce it, compared to 44 percent of adults nationwide in a recent New York Times/Stanford/RFF poll. Across racial/ethnic groups, Latinos (75%) are most likely to see global warming as very serious, followed by blacks (70%), Asians (58%), and whites (46%). Adults age 55 and older (47%) are less likely than younger Californians to view global warming as a serious problem (65% age 18 to 34, 66% age 35 to 54). Immigration A strong majority of Californians (70%) support the president’s order protecting up to 4 million undocumented immigrants from deportation. 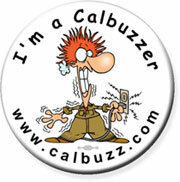 A December ABC News/Washington Post poll showed support at 52% nationally. Across all regions and demographic groups, an overwhelming majority of Californians (80%) support a path to citizenship for undocumented immigrants who meet certain requirements. Income inequality Asked about the gap between rich and poor, 72% of Californians say it is growing—similar to their national counterparts in the January CBS News poll (69% getting larger). However, Californians (61%) are slightly more likely than adults nationwide (55%) to say the government should do more about it. California’s likely voters (80%) are more likely than state residents overall to say the income gap is growing—but less likely (51%) to say that government should do more to reduce it. Other polling in California also has found from 60% to 80% support for abortion rights, gay marriage, restriction and regulation of fracking and legalization of marijuana, to name just a few more issues on which voters here lean leftward from other parts of the country. The impact of these kinds of views? Consider one: No pro-life (anti-choice) candidate has won at the top of the ticket in a statewide race in California since George H.W. 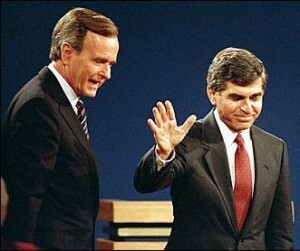 Bush beat the feckless Michael Dukakis for president in 1988. That’s 27 years ago! — before a substantial portion (maybe 15% or so) of California voters were even born. Some of these views – like abortion rights and a pathway to citizenship – are so deeply ingrained in voters’ consciousness that they pre-determine whether a voter can or will even hear what a candidate might have to say on other “more important” issues like the economy, jobs, health care, education, law and order and defense. Republicans who hope to attract Latino voters – and that does not include the majority of member of Congress who are more afraid of redneck backlash than they are of Latino dissatisfaction – should take note of the partisan breakdown from PPIC on pathway to citizenship. 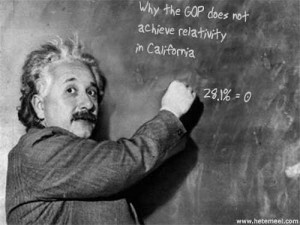 It’s not only favored by 85% of Democrats and 77% of independents, but by 66% of Republicans in California as well. Oh, and 90% of Latinos. Say It Ain’t So: Is Brown Really a Fracking Whore? All of which renders Brown’s persistent defense of fracking – the environmentally dangerous and water polluting practice of drilling for oil by hydraulic fracturing – such a huge disappointment. On the one hand, he calls for – and even leads – a “crusade to protect our climate”; on the other he allows oil companies to engage in a practice that science and common sense insist is destructive, wasteful and unsafe to the environment and to Californians. So, more in sadness than in anger, we must ask: ?Why is Brown acting a fracking whore? And yet, whenever he is challenged on his approval of fracking – he called it a “fabulous economic opportunity” in May 2013 – Brown slips the punch by citing all the other good stuff he’s set in motion to combat climate change. “I challenge anybody to find any other state” that’s doing as much about climate change, Brown shot back to anti-fracking protesters during his speech at the California Democratic Party’s convention last March. 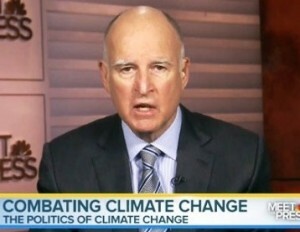 California was on track to reduce carbon dioxide emissions by 25 billion tons by 2020, Brown accurately pointed out. The state will also obtain at least 33% of its electricity from solar, wind or other non-carbon fuels by then, he added. OK. But good deeds on climate change don’t provide a free pass on fracking. Unlike conventional oil drilling, fracking injects vast amounts of water, sand and industrial chemicals such as benzene into the earth at extremely high pressure, shattering rock and freeing the oil or gas below to be pumped to the surface. In effect, fracking creates new reserves of product that energy companies can bring to market. Fracking a single oil well?can require?2 million to 8 million gallons of water that is then left too polluted for human or agricultural use. Scientists have also concluded that fracking, which aims to shatter underground rock to free oil and gas, has helped cause earthquakes in Ohio and Oklahoma — no small consideration in California. Moreover, the “fabulous” economic benefits of fracking that Brown once cited were all but wiped out last May, when federal officials slashed by 96% their estimate of how much oil can be recovered from Monterey Shale deposits that stretch from Kern County to Monterey. No, not at all. 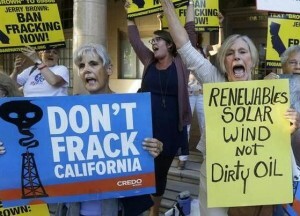 First of all, fracking in California has been going on for more than 50 years. 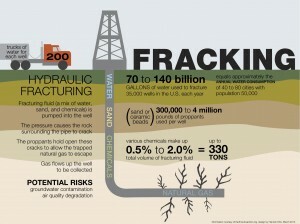 It uses a fraction of the water of fracking on the East Coast for gas, particularly. This is vertical fracking for the most part. It is different. California imports 70% of our petroleum products. Our cars drive over 330 billion miles, mostly on petroleum. If we reduce our oil drilling in California by a few percent, which a ban on fracking would do, and we import more oil by train or by boat, that doesn’t make a lot of sense. What we need to do is to move to electric cars, more efficient buildings, and more?renewable energy. And in that respect, California is leading the country and some would say even the world, and we’re going to continue moving down that path. Uh, yeah, but what about the question Chuck actually asked? Man Up, Gandalf: It’s time for Gov. Brown to face facts: there is no defense for fracking in California – no environmental or economic rationale and it’s a huge waste of water. Better to accept the notion, as President Obama has explained, that in order to combat climate change to the extent we can, we must leave two-thirds of the oil that’s available to mankind in the ground. That means stop fracking for the hardest-to-extract oil and move away from fossil fuels. Or else explain why you’re so set on selling yourself to the oil companies.